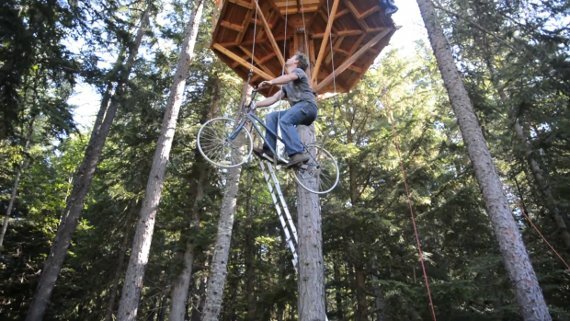 Ethan Schlussler built a bicycle elevator to access his 30 foot high tree house. Check out his video! I’m impressed with this elegant design. It definitely makes me want a tree house. Nice work, Ethan!